A 2012 Mashable article written by Pete Cashmore, declared “2013 to be the year of Responsive Web Design”. Back then he made this canny observation: “The aim here isn’t merely prettiness or technical trickery, Media companies like ours are seeing a major shift in the consumption habits of their audiences. Those organizations that don’t act may find themselves behind the curve”. So regardless of the nature of your business, the fact is, your audience will browse the net from pretty much any and every location, and on a multitude of different devices. If they are not now, they will be in the future. This means companies will need to figure out ways to stay with their customers every step of the way, if they want to remain in business. “Web users expect that their favourite websites will, at the least, have a mobile-friendly version they can access on their smartphone or tablet,” explains business growth expert Casey Gollan in his latest bulletin titled Why You Should Care About Responsive Web Design. “Responsive web design should no longer be thought of as ‘an’ option for businesses, but rather as ‘the’ option. With the sales of tablets reaching 100 million in 2012 according to a study by ABI Research, and over a billion smartphones available worldwide, this is no passing fad. In fact, according to a recent study by US research firm Gartner, PC sales declined for the first time last year. A responsive website is one which alters to fit the size, resolution and orientation of the viewer’s device, whether it’s a PC, tablet, or smartphone, says Gollan. On the other hand, company sites that aren’t responsive will be difficult – if not impossible – to view on some devices, making them virtually unusable in certain cases. For instance, a non-responsive site may be too small to read the text and lack some key navigational features. 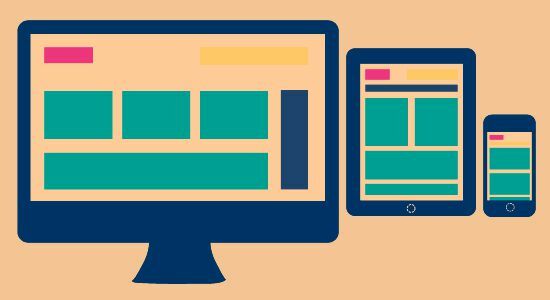 Built using ‘breakpoints’ for each size of screen, responsive design delivers pages specifically optimized for a device’s screen size. Many responsive sites use 3 breakpoints (one for mobile, one for tablets, and one for desktop), while others, like the Boston Globe, use six. Google wants webmasters to use responsive web design. This involves serving the same HTML for all devices and using only CSS media queries to decide the rendering on each device. The reason Google wants this is probably because it makes it easier for pages to be crawled and indexed. With two separate sites all external links are divided between both the mobile and the regular site, meaning a company’s SEO will be compromised. While web users are still spending more time online on their desktops, time spent using mobile is growing at 14x the rate of desktop use, according to the NetMarketshare graph. Meanwhile, by the end of 2012 mobile internet traffic had reached 13% according to venture capitalist Mary Meeker’s presentation at Stanford University recently. In addition, with more and more mobile users turning to their mobile devices for online shopping, businesses that don’t offer mobile-friendly shopping experience are going to be missing out. Responsive sites tend to load faster than those which have both a regular and mobile site. This is because responsive sites don’t waste time redirecting visitors. And in these fast and furious web browsing days, customers won’t hang around to navigate their way around a site which isn’t mobile friendly, warns Gollan. Finally, Gollan points out there is currently debate between whether businesses should opt for a responsive or an adaptive web site design. Both designs have the same purpose, which is to make websites viewable no matter what device a user is on. Both AWD and RWD are concerned with accessibility and usability, and both are out to ensure the user has a better and more enjoyable online experience.